After a hiatus of a few years, the Professor Layton series is finally being resurrected - albeit with a twist - this year with Layton’s Mystery Journey: Katrielle and the Millionaires’ Conspiracy. Starring Katrielle Layton — daughter of the famed professor — this one promises to bring more brain bending puzzle action to the still-kicking 3DS later this year. We got a chance to sit down with Akihiro Hino — President and CEO of Level-5 — last week at E3 to discuss the upcoming game, covering such topics as the change in protagonist, the potential future for the series, and Hino-san’s favourite Layton game. Read on, and find the answers you seek. This is the first main game not starring Professor Layton, why did you decide to make that change? Hino-san: So, there’s been six titles in the Professor Layton series. I felt that every time he would be solving this grand mystery, and it’s gotten to the point where these mysteries have to do with saving the world. I wanted to create a game where it was more about solving everyday mysteries. Since Layton’s already been to that sphere of saving the world, having him go back to solve these everyday mysteries was kind of not scaling correctly. So I wanted to do something like a reset, and bring in a new character, and then maybe scale up in the same way Layton did, where we start with small mysteries and then maybe five or six games later have a much bigger mystery. For this mystery journey, it’s a lot of small puzzles. For this game, there’s actually more puzzles than in the other games, it’s a big story. So, I hope you enjoy it. 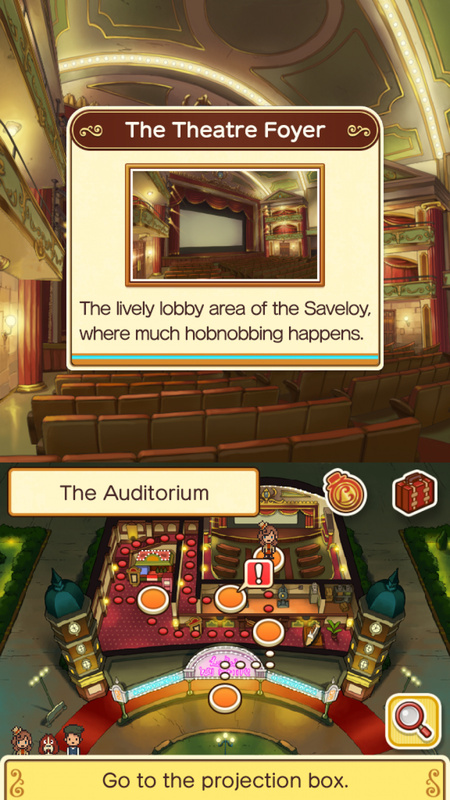 Actually, Professor Layton might come out and make an appearance, so look forward to that, too! How will the gameplay be notably different or improved from previous entries, if at all? What lessons learned will be employed here? Hino-san: The main goal of this game is to go back to the grass roots of Layton, which is solving puzzles. As the series progressed, I felt that we introduced new features that weren’t necessarily puzzling. I wanted to step back and go back to what we started with, just solving puzzles. So, that’s where we’re going with this entry. Would you describe this game as something of a soft reboot? Hino-san: Yeah. It is a new start, a new journey for the series. Do you have any plans in mind, then, for more games starring Kat? Another trilogy, perhaps? Hino-san: We are trying to do this series with the Mystery Journey tag again, but we’re not really sure if Kat’s going to be the main protagonist on the next one. It might be someone new again. But this Mystery Journey series will definitely continue from here. We haven’t decided exactly where, though, so we can’t say too much on that front. How do you feel spin-offs like the Phoenix Wright crossover or mobile games have impacted this title? 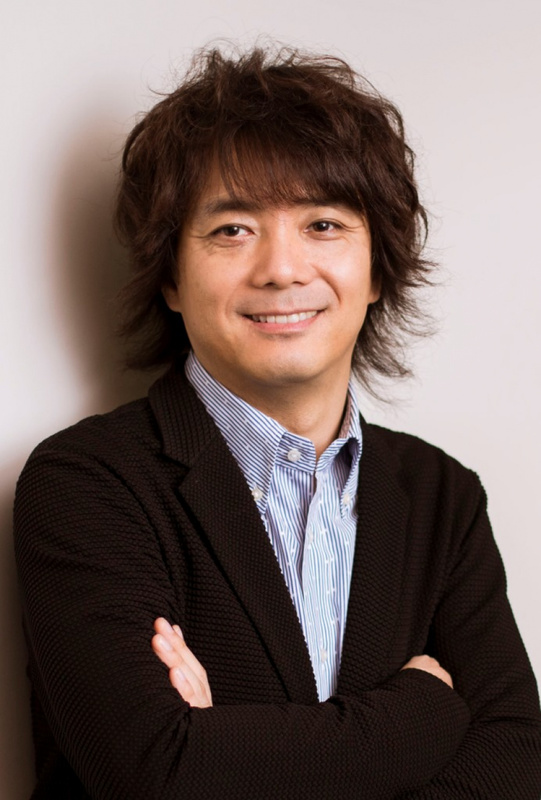 Hino-san: Development for crossovers like Phoenix Wright are fun because you get to take elements from both games and mix them together, so that project was really fun to work on. But that crossover was definitely more run by Capcom, so the game feel and flow was leaning more towards Phoenix Wright’s side. Have you ever been approached or wanted to approach other companies for further crossovers with Layton? He was certainly a high contender in the Smash Bros. fighter ballot. Hino-san: If it looks like it’s fun and entertaining for both us and consumers, then we’re definitely open to more collaborations. But, there’s nothing in particular going on right now. I have a good relationship with Capcom right now, which was what lead to the Phoenix Wright crossover. Why did you choose to release this on 3DS and not the Switch? Hino-san: The reason why we chose the 3DS is because there’s a large Layton fanbase on 3DS given that we’ve released other Layton titles for the platform. We wanted to cater to that original fanbase that we already have and has been with us for a long time. Also, we are releasing it for smartphones. The reason why we didn’t bring it to Switch is because we hadn’t started development for the Switch at the time that we were actively working on this game. For the future, we’ll look into maybe porting it to Switch and making the next game in the series on the Switch. What are your thoughts on the next Professor Layton movie, is there one on the way? Hino-san: Most of Level-5 games have been released in some kind of movie or video in Japan. Especially with Layton, I really enjoyed working with them. There are offers about maybe reaching out again for a movie, so that’s being looked into. Last question, what’s your favourite Professor Layton game? Hino-san: The third one, Professor Layton and the Unwound Future. I wrote the story for it and the time travel element was especially interesting. We'd like to thank Akihiro Hino for his time. The third one - Miracle Mask - time travel. Give us Layton and Luke back. The third game is The lost future. (Uwound future if you live in America) Miracle mask is the fifth game. @tobibra Fixed! He didn't know the name of the game in English. I'm actually quite glad Lady Layton (I'm still calling it that) seems to be scaling things down a bit. As much as I enjoyed the grandeur and jet-setting nature of later adventures, I'll never forget the feeling of being snuggly ensconced in the eponymous 'Curious Village' of the first game. Progression was measured less in terms of 'saving the world from destruction', and more in terms of simply discovering the village and the mysteries surrounding it. The more I played, the more I found myself sinking into the town's strange and whimsical rhythms, and generally feeling like a part of the townscape. I don't think you can get the same feeling of 'belonging' when you're constantly being thrown around the planet, and I feel Layton is at its most charming when it dials down its more apocalyptic elements. The original has remained my favourite, largely because of those reasons, so I hope latest (and ladiest) title in the series can capture some of its charm. It's looking fantastic from the trailers, but I suppose the real meat will be in the puzzles. Also, why didn't you ask who Kat's mum is!? That's the question! Seems like the gameplay is staying basically the same, with a bunch of puzzles to be solved and wandering around to find those puzzles. That's all I need from a Layton game. Not a big fan of the protagonist from the trailer, but I might grow to like her. Plus, Hershel Layton himself will be showing up for sure, so he's not totally gone. Love the Layton series of games but it would be nice if they have one for the Switch. Great interview! Got to learn more inside the mind behind the Layton Series. Can't wait to see more Layton news and content on the @LaytonSeries Facebook page. We want to see more. I remember somewhere someone said something about Luke being in this game, I think. @michael_Layton Probably, I really hope so. "The reason why we chose the 3DS is because there’s a large Layton fanbase on 3DS given that we’ve released other Layton titles for the platform. We wanted to cater to that original fanbase that we already have and has been with us for a long time. Also, we are releasing it for smartphones. The reason why we didn’t bring it to Switch is because we hadn’t started development for the Switch at the time that we were actively working on this game. For the future, we’ll look into maybe porting it to Switch and making the next game in the series on the Switch." I wish I could just yell this at every Switch whiner that complains about any game coming to the 3ds and not the switch. Like for real. I still need to finish the first trilogy (Unwound Future is next!) before playing this one. I'm looking forward to this new title! @Oat: I agree 100%. It's not an easy decision/process to switch (pun unintended) gears on a game halfway through development and port it to a different platform instead of the one you were working on. He wrote Unwound Future? The best one in the series? I could have sworn this was going to be a Nintendo Switch game! That is a disappointment since I would have loves to play this game with my girlfriend. Aha. The curse of Spectacle. As a series progresses, it may rely Spectacle to outdo the previous entries in the series. This can lead to larger and larger scope being used, until it can go no further. Hence a soft reboot. "The main goal of this game is to go back to the grass roots of Layton, which is solving puzzles." I can't wait. I relish the change. 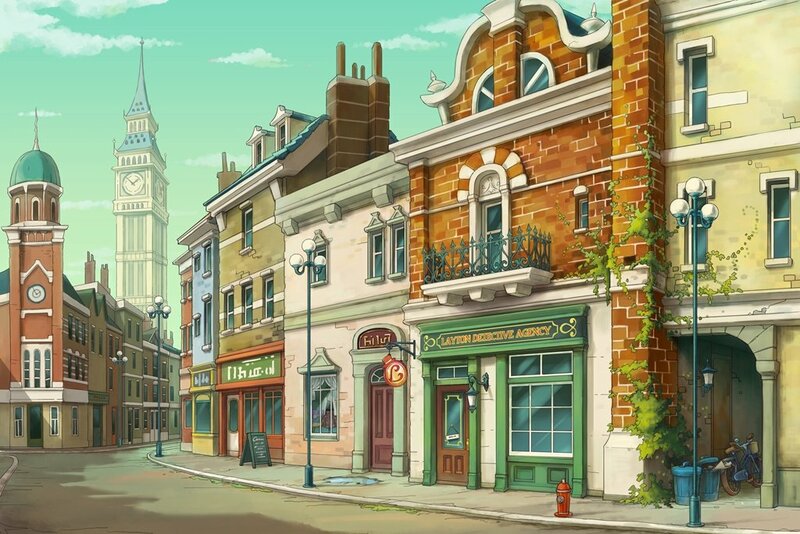 @Maxz While I enjoy the grander Layton adventures, I absolutely agree that a return to the simple, homely nature of Curious Village will be nice. I do think I prefer the style of the largely disconnected narratives of the original trilogy as well over the interwoven and more complex narratives in the prequel trilogy. And yeah, "Lady Layton" is a lot more memorable and easy to remember than the more generic sounding "Layton's Mystery Adventure."